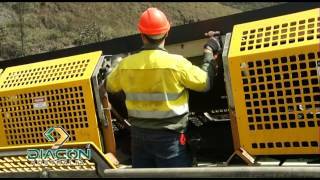 Install Diacon Conveyor Mounting Bracket to troughing frame. 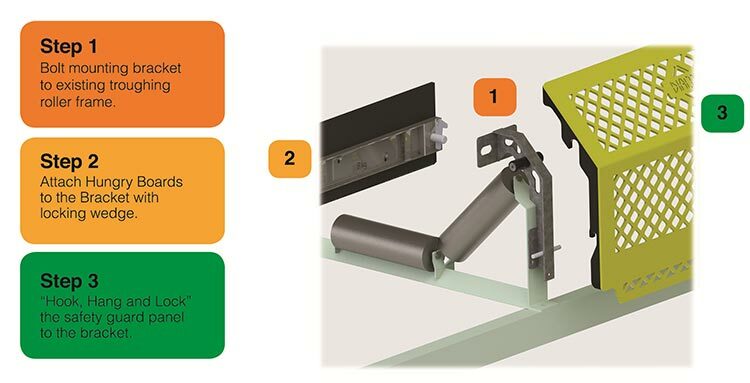 Attach Conveyor Hungry Board to bracket with locking wedge. 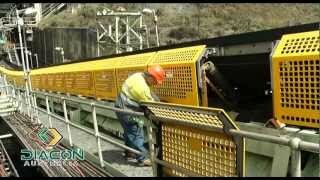 “Hook, hang and lock” Diacon Conveyor Guard to bracket.